For some reason, I always end up contemplating dropping a Big Opinion Post at the worst possible time(s), and honestly, I don’t know what gets into me when thinking about it. For one thing, with a few rare exceptions, I don’t really do that kind of bloggery. That’s not to say I couldn’t or shouldn’t, though. Admittedly, I do often have opinions about the matters of the day, some of which I might even be willing to debate. And nothing ramps up blog traffic like taking a blustery, public stand on something and then getting into a little brouhaha over it in comments. I’d rather vote Nixon than for any of the the current Republican idiots! The Phantom Menace was the awesomest of all the Star Wars movies! And then ramble on about the topic, for seven or eight hundred words including the obligatory enumerated list (obviously). That’s not really what you come here for, though, is it? Come to think of it, I’m not sure why you come here—I suppose everyone has their own inexplicable bad habits. Anyway, it’s Friday. Starting a troll-war on a Friday is just bad for business. Also, I’m feeling tired and lazy today, even more tired and lazy than the my standard “as-perky-as-a-bottle-of-molasses-from-the-fridge”. Why is that? Well, I’m glad you asked. My recreational hockey team, in what can only be seen as a clear Sign of Apocalyptic Doom, skated to a 6-0 win and our first ever league championship last night. As you can probably guess, I was up late, um, cheering and what-not. So instead, let’s talk about scary movies. Everyone needs to hear Tangina the spirit medium pronounce that “This house is…” Well, I won’t spoil it, but once you hear her say it, you’ll hear that phrase in your head exactly the way she says it, for, like, ever. The movie’s got cute kids afraid of stuff that goes bump (or worse) in the middle of the night. Who can’t identify with that? Craig T. Nelson; “Coach” in a ghost story movie. That’s money right there. 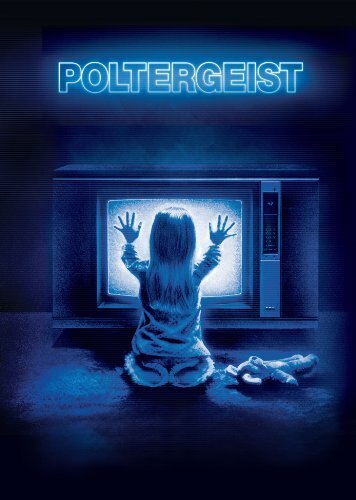 If you haven’t seen Poltergeist, get a friend or a something, maybe rent one if necessary or adopt a dog, pop up a big bowl of popcorn, and try not to grimace at the Chinese takeout noodles*. Oddly enough, though, after proselytizing about the film’s virtues on twitter, I realized something: I don’t really do horror movies anymore myself. I certainly used to like horror/thriller/slasher movies. I think I watched all the Friday the 13th films back-to-back one summer when I was, I don’t know, 11** years old. But now that I’m an adult and stuff, I rarely go for the obvious thriller-or-killer ones. So what changed? Is it that now surrounded by the trappings of (capital “L”) Life I look for more escapist nonsense and not something that could potentially cause worry? I doubt it. The “Saw” movies are every bit as much fantasy as the “X-Men” ones. Or let’s take the Friday the 13ths; not much reality to get bogged down on in a movie about an seemingly immortal serial hacker (of the “ax” rather than “PC virus” variety) that never runs, rarely misses a victim, and wears a beat-up flannel shirt and an old school hockey mask. Huh. Come to think of it, putting it like that makes Jason Vorhees sound like the original hipster. I wonder how he feels about PBR. Anyway, I think that in my case two things probably worked together to cause my disinterest in the scary movie genre. First, I’m old now. Seems like scary movies tend to generally resonate with the younger kids than us old fogies, although I’m not sure why. And frankly, being a Friday, I don’t think I’m going to dwell on it too long. Second, and this is probably the more significant reason: a movie finally scared the holy living hell out of me. Yes, that’s right, I haven’t been the same since I saw The Exorcism of Emily Rose. I’m not sure what exactly made that one stick with me years later, while I so easily brushed off all the other scary flicks I’ve seen in the course of life. But something about it really, truly disturbed me. I’ll even confess that sometimes, after turning off the lights and heading upstairs to bed in a dark house, my feet seem to move a little quicker than usual—of their own accord, of course—as I climb the stairs. And should I happen to wake up for some reason at 3:00 AM, I have to remind myself that I’m not likely to be visited by shadowy demons before I go back to sleep. I don’t know. Maybe my interest in the horror movie will return one day. Then again, maybe I’ll just keep being a pansy until I’m dressing in Depends and railing at the staff in “the home” to bring me another damn beer and a crossword. What about you? Do you like scary movies? Have you always liked them or did you like them once but find nowadays that they don’t really keep your sea vessel buoyant**? Let’s chat a bit about them, eh? Either way, though, you need to see Poltergeist. Yes, you do. Right now, if possible. And remember, (Tangina the Medium voice) this post is…oh, wait, no spoilers. *The ones in the movie. Hopefully, if you have your own Chinese takeout noodles you don’t need to grimace at them. **Can I get a woot-woot for late night movies on cable movie channels in the 80s?